A cursory glance at your Facebook over the past week might have yielded a stream of posts about the unprovoked Israeli murder of five dozen unarmed peaceful protestors in the Occupied Gaza Strip. Or perhaps you saw posts about the thousands of weapon-wielding Palestinian terrorists attempting to breach the Israel border, stymied only by the Jewish State’s successful and brave defense. Odds are, reading one of those sentences made you seethe with frustration about just how wrong it was. Maybe the other sentence validated your beliefs to the fullest. Maybe you’ll write a Facebook post cementing your staunch beliefs about the conflict. Maybe you already have. 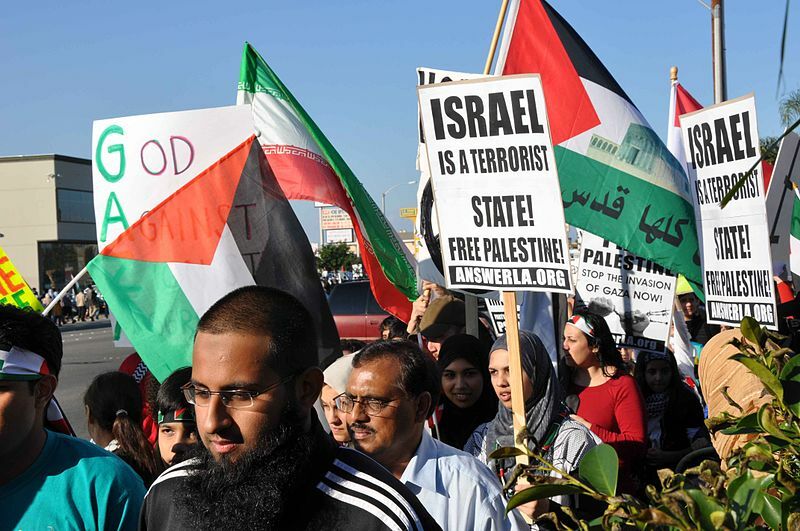 “Israel the Heinous Murderer” and “Israel the Justified Defender” were the two tropes de jour following the May 14 demonstrations on the Gaza border with Israel. I’ll simplify this so there’s no mistaking facts with my opinion. FACT: At least 62 Palestinians are dead following the incident, with thousands more injured. FACT: The Palestinians who died were killed as a result of actions taken by IDF soldiers. FACT: Some, but not all, of the Palestinians killed were carrying weapons and hoping to breach the border with Israel. FACT: Hamas claims 50 of the dead were members of the group, which the United States classifies as a terror organization. FACT: Some of those killed were children. OPINION: It breaks my heart to hear that children were killed. Legitimately peaceful unarmed protesters should never be harmed. It is truly unfortunate that children died from a conflict they were born into. OPINION: I have little sympathy for members of Hamas in general, and none at all for actual armed terrorists attempting to enter Israel illegally with intentions that are overtly nefarious. OPINION: Israel took steps to reduce casualties, but I believe it could have done more to prepare for a riot that was months in the making. I joked with my editor at Ha’Am this past week that I’m yet to write a piece this year that doesn’t utilize the word “nuance” (totally true). But beyond the nuance needed for understanding the facts and opinions of the conflict, nuance is needed for hearing the radical opposite views, too. United States Ambassador to the United Nations Nikki Haley, well-respected by pro-Israel communities, disappointed me this past week when she walked out on the Palestinian delegate’s remarks during a special session on the Gaza incident. Certainly Riyad Mansour deserves the basic diplomatic respect of a fellow representative. Ambassador Haley perfectly captured what too many of my Facebook friends feel about the conflict: each side believes the other side doesn’t really matter. Haley’s walkout inspired me to put my money where my mouth is, so I sat and listened to Mansour’s speech. It was very difficult to listen to Mansour. Not because the speech was in Arabic, but because I wholeheartedly disagree with a lot of what he said. I believe many of his statements were not true. He denounced 70 years of Israeli “aggression” — which I think is exaggerated — “an occupation in West Jerusalem” — which I don’t think exists — and the “impunity” Israel has at the U.N.— which I believe is actual nonsense. Israel, the most-condemned member nation in U.N. history, hardly has impunity. But I continued to listen until the end — a half hour in all — when Mansour said something I agreed with wholeheartedly: “the dignity and peace” Palestinians deserve. It seems a bit silly to call it a metaphor for engaging with those with whom we disagree, but if I had not heard Mansour (or the British woman translating his words) out until the end, I would not have been able to point to a single sentence he said with which I fully agree. This is the same reason I refuse to block or unfriend anyone propagating pro-Trump, anti-Israel or worst of all, pro-U$C rhetoric, from my Facebook timeline. If we limit what information goes into our purview, we necessarily limit what change can go into our world. I walked away from Mansour’s speech disagreeing greatly and having learned very little. But the exercise proved the value in hearing someone out. That is the only way to make headway toward mutual understanding (in my opinion). Mansour’s remarks were followed by those of Israeli U.N. Ambassador Danny Danon, who spent a good portion of his speech explaining the “facts” surrounding the May 14 conflict. He ended on a similar note to Mansour, talking about Israel’s desire and right to live in peace. Maybe that is a good place to start. 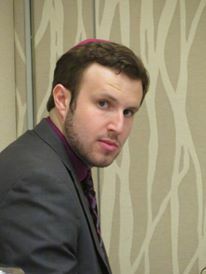 Zev Hurwitz is a graduate student in Public Policy at the UCLA Luskin School of Public Affairs.